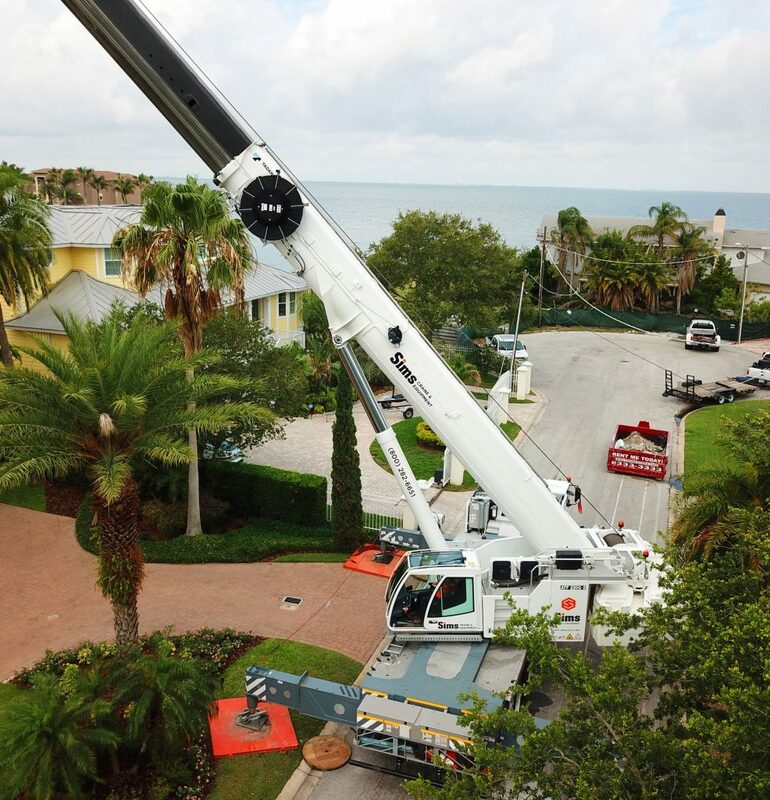 If you are in search of cranes and rental equipment, choose the company that has helped build Florida – Sims Crane & Equipment. Founded in 1959, Sims Crane & Equipment has been a part of The Sunshine State’s largest projects with 13 locations throughout the state. Sims provides crane service and rental equipment to assist in the building of amusement parks, sports stadiums, business complexes, government buildings, highway projects and more. Sims Crane employs world-class expert operators and cutting edge technology. This adds real value to your project whether you are in search of all-terrain, crawler or mobile crane rentals. We offer the flexibility you need to complete your project safely and efficiently. Rental equipment including rentals options with or without operators, on-site consultations and detailed 3D lift planning. Our multiple locations put our equipment close to your Florida construction project no matter where it is in the state. We pride ourselves on growing our company through seven core values including safety and reliability. The two go hand in hand as we work to ensure all of our equipment is operating properly and safely. Our culture of safety is apparent both on and off-site. Keeping our and your workers safe is at the top of our list. We also work to provide you the same great service with each project. We understand the value of time, and we minimize down time with crane service and rental equipment that is available where and when you need it. We invite you to find out more about working with Sims Crane & Equipment, a family-owned-and-operated crane company that provides value through ethics. Contact a Sims Crane office near you, let’s discuss your project and give you a quote. We think you’ll quickly discover the Sims Crane difference for crane service and construction rental equipment in Jacksonville, Miami, Orlando, Tampa, and across the state of Florida.